Auto accidents have become a common occurrence. They can result in death or severe injuries. If you are lucky and wiggle free with your life, you may still have to go through the long, painful process of recovery. That’s not all. You may fully or partially recover and still be stuck with physical scars or trauma or both. In case you or your loved ones get involved in an auto accident, it is necessary that you hire the services of an experienced auto accident attorney, without wasting time. 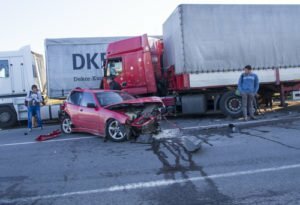 If you are somewhat unlucky to be involved in an auto accident anywhere in Rancho Cucamonga, CA, you have the right to hire the services of an experienced auto accident attorney, to help you with the needed legal aid to ensure that you are well compensated for your troubles and distress. Rawa Law Group is a renowned law firm in terms of legal services and we are at your beck and call to assist you with the necessary legal representation you desire in Rancho Cucamonga, CA. We have amassed more than 20 years of experience in this field and we are proud to have some of the most skillful and experienced auto accident attorneys at our disposal. The team is always on standby to help you handle your case successfully. We have standby attorneys in Rancho Cucamonga, who have handled and delivered several auto accidents cases and can always be counted on. When you come to Rawa Law Group, you do not have to make any upfront deposits as we do not charge our clients until the case is won. We also offer free, no obligation case evaluation and we have a team that can meet you at your home or at the hospital to help you maximize your accident claim settlement. Get in touch with us to enjoy our services via the address below.